A couple of weeks ago I had the privilege to attend one of the book launch gatherings for a new book. 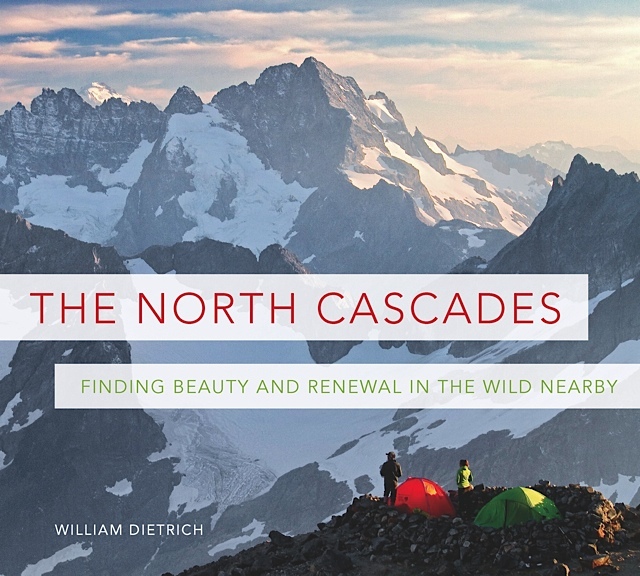 The North Cascades: Finding Beauty and Renewal in the Wild Nearby takes a unique and fresh look at one of my favorite regions to explore. Several local authors have contributed to this book, tackling the region from several different viewpoints. Dietrich then takes his musings to a more philosophical plane, saying “Switchbacks make you question your very sanity, but they allow you to forget normal irritation.” I’ll let my fellow readers discover the rest of this humorous but thoughtful musing. He finishes his sections with two interesting chapters about human history in the area, including early native peoples and the homesteaders and settlers who came more recently. The next section of the book was researched and written by Christian Martin, another talented local writer. He has interviewed many of the people who inhabit the North Cascades and who work and play there in different ways. You’ll read about conservationists, artists, climbers, photographers, adventurers, scientists, and writers. I found this section of the book very interesting, as it gave me a different perspective – the human one, which I generally tend to ignore. I found myself wishing I could meet these folks who have contributed to our knowledge and protection of the North Cascades. Once you’ve read all about the North Cascades, and then met some of the folks who’ve made their marks there, you’ll want to go visit. Craig Romano has put together multiple trips you can take to explore the region. From E.C. Manning Provincial Park in British Columbia, to Mt. 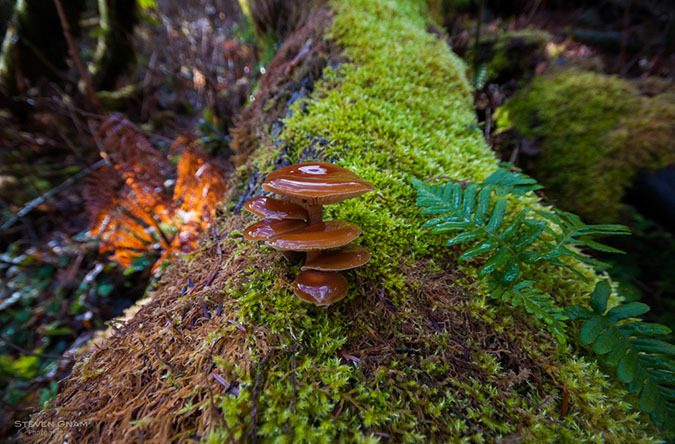 Baker, Rainy Pass, the Twisp area, Stehekin, all the way down to the Mountain Loop Highway and lake Wenatchee, Romano gives you plenty of ideas for adventures. He highlights some of the best hiking, skiing, paddling, camping, and mountain biking that the region has to offer. There is so much diversity, it’s hard to know where to start! But I am looking at those lists and dreaming about next year’s hiking season already. 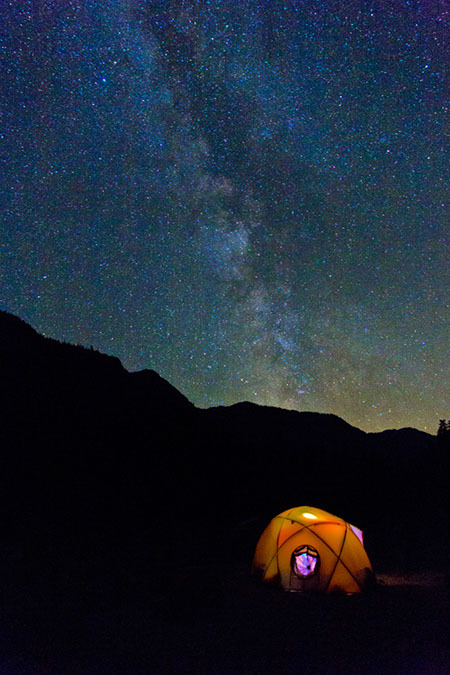 The North Cascades is full of gorgeous photography, as well, by many local photographers. This book is a treat just to flip through, or sit for a longer spell with your cup of coffee and soak in the words. I guarantee you’ll be inspired and yearn for your own adventures. The book is also meant to be a call to conservation of these precious areas, and to help encourage lawmakers and the general public to care. For our children, I believe it is most important that they learn to love a place, to know what’s out there and how amazing it all is. I believe the impetus for conservation later in life comes from learning to love and respect the natural world. The more we can immerse our kids in true wilderness, the more they will be drawn to those places as adults, and the more they will want to protect it. The North Cascades was produced by the folks at Braided River, a division of Mountaineers Books. You can purchase the book at the website, www.wildnearby.org. You can also find it at Mountaineers Books and at your local bookstore. The price is $29.95. There are still a few author events happening around the state; check out the event page at wildnearby.org to see if there is one near you. Oh, yes, the switchbacks, the burn in the legs. the gasping for air….but the descent can be just as bad with squished toes, burn in altogether different sections of the legs, and questions about balance as one slips and slides down loose gravel. Still, the journey is worth it. Thank you for introducing us to this compilation by such creative enthusiasts.